The Rehabilitation Network works to drive improvements in rehabilitation care, improve patient outcomes, and ensure that care is coordinated, patient-centred and evidence based. The Network supports the implementation of the NSW Rehabilitation Model of Care for rehabilitation services across NSW. Rehabilitation services can use the Model of Care, together with the Implementation Toolkit to ensure that the care they provide meets the standard agreed by the NSW Ministry of Health. The Model describes the range of settings in which rehabilitation occurs and identifies key principles which should be in evidence across each of the care settings. The Rehabilitation Network is led by an Executive Committee composed of medical, nursing and allied health clinicians, consumers, and managers. The Executive is currently Co-chaired by a medical and a nursing representative. Dr Kathleen McCarthy is a Rehabilitation Physician and is on the Board of Directors for Rehabilitation Medicine Society of Australia & New Zealand. She was an office holder of the Royal Australian College of Physicians from 1994, in various roles, including Faculty President from 2010 to 2012 and College Board Director for two years. This role had a substantial strategic component and Kath was responsible for the strategic direction of the Australasian Faculty of Rehabilitation Medicine. She was also an integral part of the Royal Australasian College of Physicians’ strategic planning and implementation at a time of great organisational change. As part of her achievements she secured $1.8m for research in and for Rehabilitation Medicine. 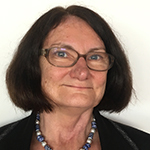 She is a past President for the Australasian Faculty of Rehabilitation Medicine, and has also been a Board Director for several non-government organisations. She is a life member of Brain Injury Association NSW. Kath has extensive experience in both rural and metropolitan settings, in particular for traumatic brain injury where she has led several initiatives arising from patient needs, with a strong focus on consumer engagement. Sandra Lever is Clinical Nurse Consultant in Rehabilitation at Graythwaite Rehabilitation Centre. She has extensive knowledge, experience and a passion for rehabilitation, rehabilitation nursing, and the application of rehabilitation principles. She is a strong believer in multidisciplinary teamwork and the importance of rehabilitation nursing in leading, supporting, and reinforcing patient care. She has experience as ACI Co-chair (Nursing/Allied Health) for the Stroke Network where she is the current co-chair of the Stroke Rehabilitation and Stroke Recovery Working Party. She is the immediate past president of the NSW Chapter of the Australasian Rehabilitation Nurses Association. The ACI Rehabilitation Network is led by an executive committee, which includes rehabilitation specialists, nurses, allied health professionals, service managers, and consumers. There is broad representation across metropolitan and rural settings. The network has more than 700 members and includes representatives from the public and private rehabilitation sectors, paediatric and adult rehabilitation services, consumers, NGOs, researchers and academics, local health districts and specialty network governed health corporations in NSW. Membership is open to anyone with an interest in improving the quality of Rehabilitation services delivered to the people of NSW.